We specialize in kitchens and cabinetry. Our highly experienced design team completes 300-500 kitchens each year, and each project is customized to our client’s individual goals. Is Carole’s the right type of company for your particular project? 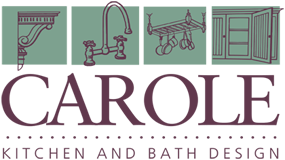 At Carole Kitchen & Bath Design, we specialize in crafting professional cabinetry and countertop designs for people remodeling and wanting NEW cabinetry and/or countertops. We guide clients through a very large product selection and storage solutions with customized layouts and products to suit their needs. If you are, in fact, seeking professional kitchen design and you’d like new kitchen cabinets or countertops, we can help! Request appointment for complimentary consultation. Our Clients Comment on the Overall Experience. Get small firm ‘TLC’, but big-depth of talent. You will have one designer for your project ‘champion’, but we are not a firm of just a couple designers. We are proud of the depth of our team, and how our designers, customer care/admin, and warehouse crew all collaborate together for YOU—a huge and unique resource your designer taps into as he/she works on your project. 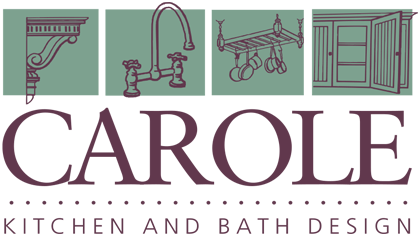 You have at your fingertips with Carole’s a firm with the foundation of thousands of unique local kitchens and baths we have completed. Access specialized expertise. We design and deliver cabinetry for between 300-500 local kitchens annually across our richly experienced design team. Go With a Native Guide. With the idiosyncrasies and nuances involved in a renovation, a pocket translation guide simply won’t do. 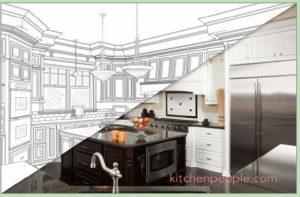 So why trust your kitchen remodel to anyone other than a professional kitchen designer? An experienced designer translates your design, product, and budget requirements fluently. Don’t get waylaid by detours that could have been avoided. Work with an experienced ‘mapmaker’…a professional kitchen designer who is inspired by the beauty of the scenery…yet has a master craftsperson’s respect for every single inch along the way. Secure the Keys to the Kingdom. The product options are seemingly endless. Partner with a firm with access to all the quality, innovative, beautiful kitchen and bath products out there…One who’s able to leverage relationships with those products’ manufacturers to get you optimal value.